Andrew Jackson rose to national prominence as Major General in the War of 1812. He successfully led American forces in several battles during his career, most prominently in the Battle of New Orleans. Andrew Jackson became the seventh President of the United States in 1829 and served for two terms till 1837. 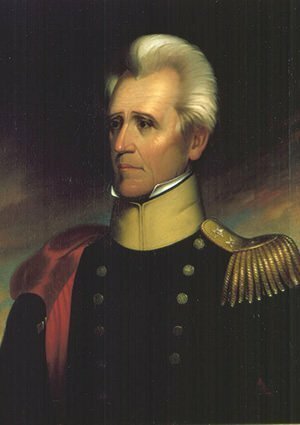 He was an influential leader and his presidency is marked by the advent of what is known as the Jacksonian Era or Age of Jackson. Jacksonian Era, most importantly, led to greater democracy for the common man and was the most prominent political movement in U.S. till slavery became the dominant issue around 1850. Know more about the contribution of Andrew Jackson by studying his 10 major accomplishments and achievements. Andrew Jackson was appointed colonel of Tennessee militia in 1801 and major general the following year. He successfully commanded the U.S. forces in the regional conflict known as the Creek War, which was majorly fought between U.S. state militias and the Red Sticks Creek people, a traditionalist faction of Native Americans in the southeast. The Creek War is considered a part of the War of 1812 between the United States and Great Britain as the Red Sticks were supported by the British. Andrew Jackson’s victory at the Battle of Horseshoe Bend in 1814 effectively ended the Creek War. Andrew Jackson was among the prominent commanders in the War of 1812 with Britain. He is renowned for his bravery, leadership and success in its campaigns. His most famous contribution came at the Battle of New Orleans, fought between January 8 and January 18, 1815. Jackson’s 5,000 soldiers won a decisive victory over an invading British force of 7,500. At the end of the battle, the British had 2,037 casualties compared to America’s 71. 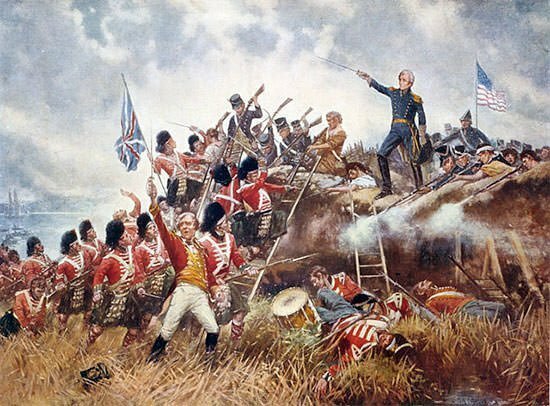 Battle of New Orleans was the last major battle of the War of 1812 and the most one-sided. 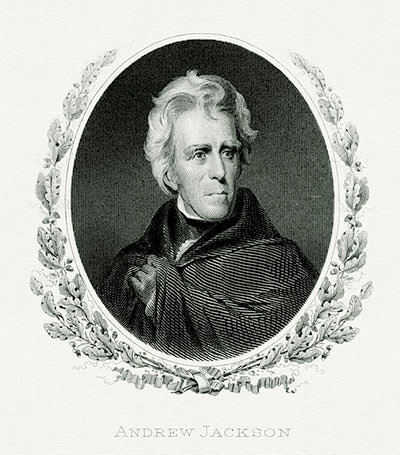 Jackson first stood for president in the 1824 presidential election. He received the most popular votes but not a majority. The election was decided by the House of Representatives, which chose John Quincy Adams as president. This was termed as the Corrupt Bargain because Henry Clay, the Speaker of the House, was made Secretary of State by Adams. However, whether it was corrupt is now debated. In the 1828 elections, Jackson won by a landslide becoming the seventh President of the United States. He also won the next elections comfortably. Andrew Jackson served as U.S. President from March 4, 1829 to March 4, 1837. The Democratic-Republican Party of Thomas Jefferson and James Madison had dominated national and state affairs from 1800 till the 1820s. However, it split and faded away in the 1820s and around 1828, Jackson and his supporters founded what became the Democratic Party. Jackson was thus the first Democratic President of U.S. The Democratic Party is the oldest political party in the world and remains one of the two major political parties in America. Andrew Jackson led a political movement primarily aimed at providing greater democracy for the common man, which became known as Jacksonian democracy. Jackson is credited for spreading political power from the established elites to the ordinary voters. Jacksonian democracy spread throughout American politics and was the most prominent issue till the rise of the slavery issue in the 1850s. It is considered to be a vital movement in American democracy which inspired important later events and movements. 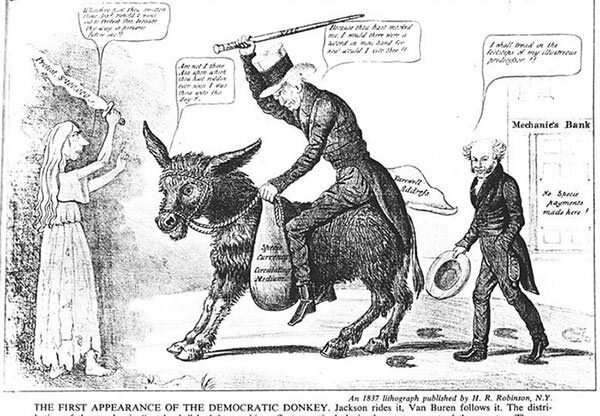 1837 cartoon showing the Democratic Party as a donkey, which remains its cartoon symbol into the 21st century. Initially in U.S. the right to vote was limited to white male property owners or taxpayers in many states. The rise of Jacksonian democracy led to attitudes and state laws changing in favor of granting the right to vote to all white males. 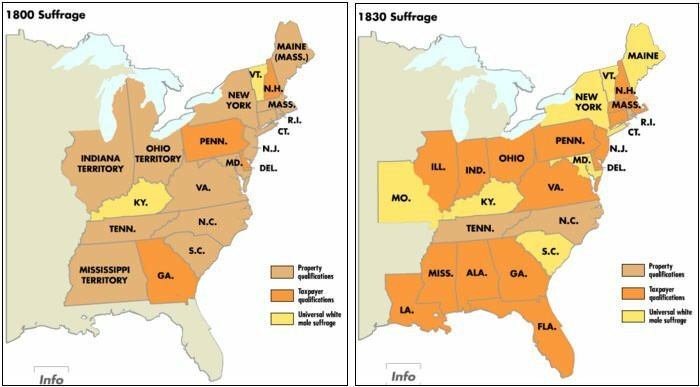 Universal white male suffrage was adopted in most states by the 1850s with nearly all requirements to own property and pay taxes being dropped. This was of paramount importance as it led to better representation of poor citizens in the United States. During the presidency of John Quincy Adams, the Tariff of 1828 was passed, which southerners believed benefited northern industrialists at the expense of southern farmers. Jackson signed into law the Tariff of 1832 but it couldn’t appease all southern states, prominently South Carolina. The issue escalated to a major crisis with threat of secession from South Carolina and its passage of the Ordinance of Nullification, which declared the Tariff of 1828 and 1832 null and void within the state borders. 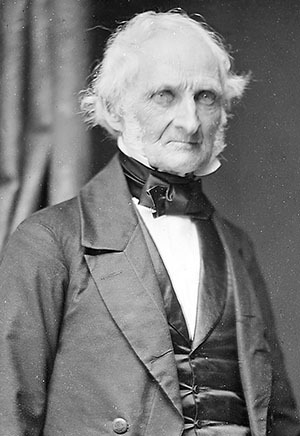 Jackson reacted by signing both the Force Bill, which authorized the use of military force to enforce the tariff; and the Compromise Tariff of 1833, which would gradually reduce the rates following southerners’ objections. The crisis was resolved by the Compromise Tariff with no need for the Force Bill. South Carolina Convention met and rescinded its nullification ordinance on March 15, 1833. Major achievement of the Jackson administration in foreign affairs was to negotiate a successful trade agreement with Great Britain which opened the West Indies colonies to American merchant ships. There were also several treaties which settled claims and opened trade with several European, Asian and South American nations. There was a 70% increase in American exports and 250% increase in American imports during Jackson’s presidency. Andrew Jackson took several measures to rid the government from corruption of previous administrations. Presidential investigations were conducted in all executive Cabinet offices and departments. Jackson asked Congress to reform embezzlement laws; reduce fraudulent applications for federal pensions; and pass laws to prevent evasion of custom duties and improve government accounting. His first Postmaster General had to resign when it was found that he engaged in corrupt practices. Jackson replaced him with Amos Kendall, who went on to implement much needed reforms in the Postal Service. Though Jackson opposed any federal exploration scientific expeditions during his first term in office, during his second term he signed a law creating and funding the oceanic United States Exploring Expedition. Authorized in May 1836, it was conducted between 1838 and 1842 during the presidency of Jackson’s successor Martin Van Buren. U.S. Exploring Expedition was of major importance to the growth of science in the United States, in particular the field of oceanography. 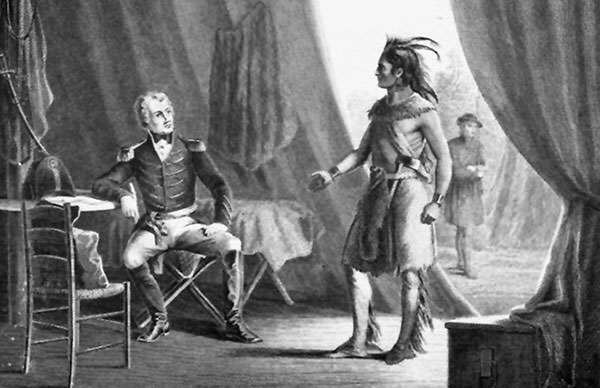 The most controversial and criticized action taken by Andrew Jackson as president was his relocation of Native Americans. In May, 1830, he signed into law the Indian Removal Act which authorized him to negotiate relocation of Native Americans to federal territory west of the Mississippi River in exchange for their ancestral homelands in Southeastern United States. Though in theory it was supposed to be voluntary, the Removal Act led to forced expulsion of tens of thousands of American Indians from their traditional homelands, an event known as the Trail of Tears. The relocated people suffered from exposure, disease, and starvation while on route, and more than ten thousand died before reaching their various destinations. Thanks for the information Anirudh. It really helped me understand Andrew Jackson. I worked on a president report on Andrew Jackson and this helped me a lot! Do you have sources for #s 8-10? was good thanks for the info !! This did help me a lot during a project! Thank you so much i had to write a 10 page paper on andrew jackson and this helped so much! Thank you for the article. I think it is timely since the current administration has promoted Jackson and put his portrait in the Oval Office. President Jackson has earned the role as a common man’s President by expanding the voting rights, encouraging exploration, and promoting land dispersal to non-elites. His time even became known as the Jacksonian Era. I don’t know of any other president with a whole era named after him. That’s definitely a testimonial to his lasting footprint. I would like your thoughts on the often overlooked aspects of his tenure. – Expiration of the 2nd Bank of the US which created to a credit crunch that hurt farmers/entrepreneurs/industrialist and resulted in the Panic of 1837. Jackson was censured for this. Which was later repealed. – Calling for the lives of the abolitionist who tried to limit the expansion of slavery. – Indian Removal Act treaties where not signed between the US and Tribal leadership, but small factions which did not represent the will of the tribes. – He was pejoratively called King Andrew by his opponents. I know he won the popular vote 3 times, but why did his detractors have visceral hate towards him? That’s not exactly a fair to blame the credit crunch on Jackson alone. There was a lot of land speculation going on at the time which created a huge bubble. That’s too bad, because the nation was completely debt free and probably will never be again.